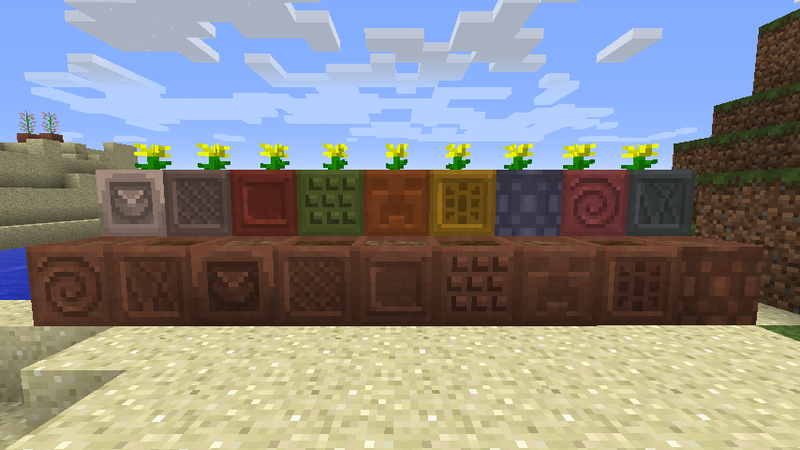 Modular Flower Pots Mod 1.7.2/1.7.10 adds a larger flower pot made from hardened clay, and includes stained versions as well. Pots start out empty when first placed, but can be filled with a few different substrates (dirt, sand, gravel, etc). Almost any in-game plant can be put in these flower pots, including double-height plants and crops. Most mod-added plants should also be compatible. Placing pots of the same color and substrate next to each other causes them to join into a continuous planter. All of the stained clay varieties can be crafted into large flower pots. They use a similar recipe to hardened clay pots. Don’t blame me if they give your house a 70s vibe. Showing the current valid substrates: Sand, dirt, podzol, gravel, grass, and soul sand. Only plants compatible with the substrate can be planted. Sand supports cactus, gravel supports mushrooms, etc. Crops will happily grow in pots without need for external water. Bonemeal accelerates their growth like normal. Apply bonemeal to saplings to get small ornamental trees based on that sapling type. Does not apply to third party saplings. Carve beautiful insets into your pots on a pottery table. See pattern config to add even more insets. Large Flower Pot: A large flower pot made of hardened clay. Stained flower pots can be obtained by using stained clay. Alternatively, fire raw pots in a furnace. Raw Large Flower Pot: A soft and malleable pot made of raw clay. You can’t plant anything in it, but it’s soft enough to carve. Fire it in a furnace. These are cheaper to make on a pottery table. Carved Raw Flower Pot: A big pot with a beautiful carved inlay, ready for firing. Made from soft clay and a stamp on a pottery table. The stamps can be found in dungeons or traded for with villagers. Colored Large Flower Pot: A way to get colored flower pots without using pre-stained clay. Also used to color carved hardened clay pots that came from the furnace. Wood Post: A thinner log. Obtained from small trees or cutting up bigger logs. These will interconnect into structures. Wood Post Fence: A fence made from wood posts and rope. Acts as a 1.5-height fence. 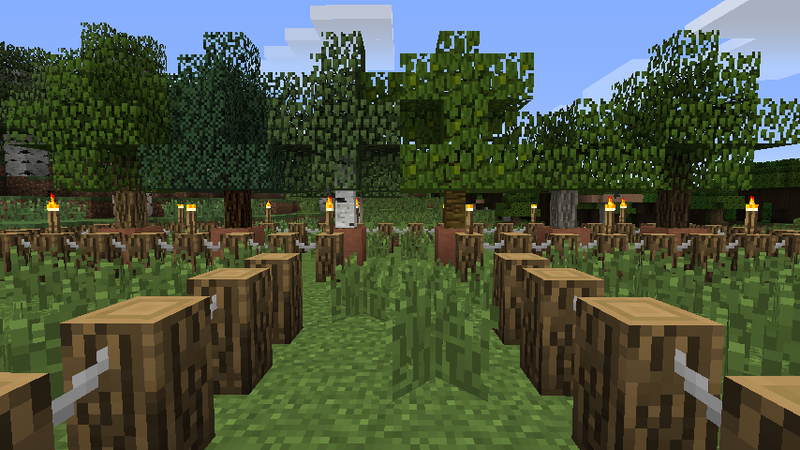 Wood: Combine wood posts from your grown trees back into full wood logs. Soil Test Kit: Right-click on any square with a test kit in your hand to record biome temperature and rainfall data to it. Then right-click the used kit on pots to apply the biome attributes to it. Affects the coloring of affected plants, like grass and ferns. Soil test kits are single-use items, but the used version can be applied to unlimited numbers of pots. Pottery Table: A place to carve pots. Also a cheaper (but more time consuming) way to craft pots.